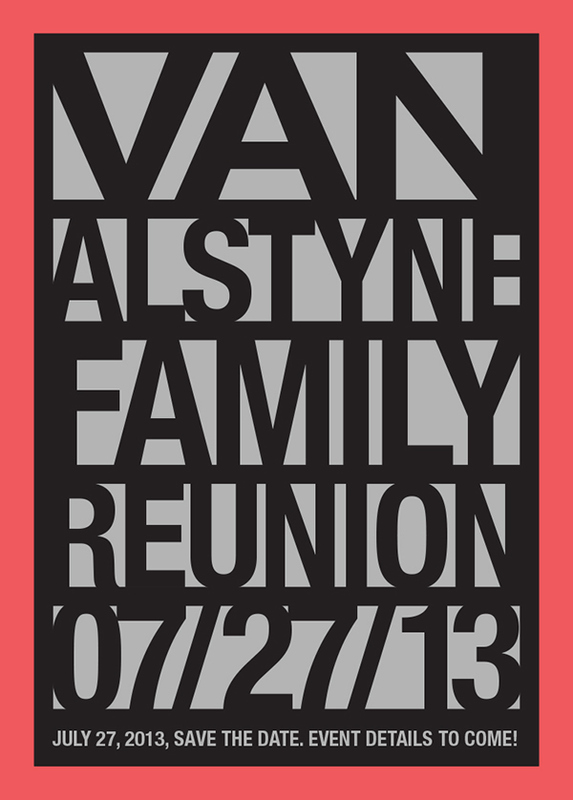 The Van Alstyne family reunion is a time honored event that brings together that brings four generations together. 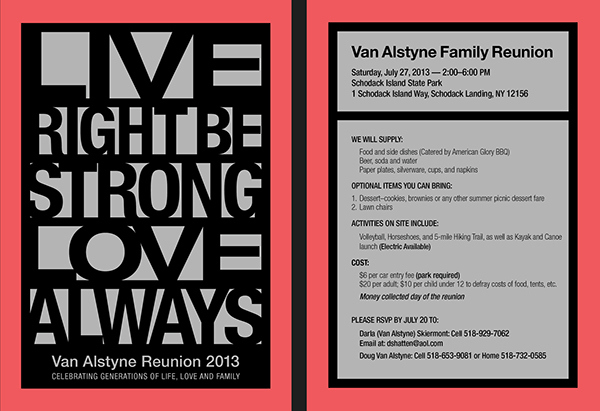 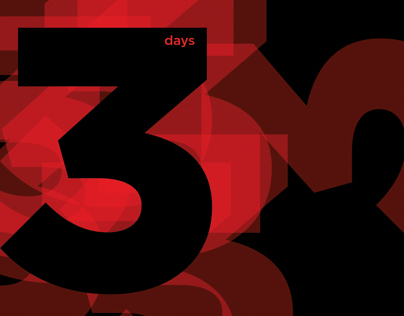 With the theme “Live Right, Be Strong, Love Always” Ditch Design developed: save the date cards, invitations and a limited addition T Shirt. The T Shirt was given to the senior generation and the rest were given out as prizes for a family trivia contest.